Dubai's leading 5 star luxury resort: Dubai Marine Beach Resort & Spa hiring experienced staff for Dubai in 2019. Its a free and direct company recruitment with free visa, accommodation, duty meals, uniform, medical insurance and air tickets. * All of the given listed positions would be fulfilled with similar education and extensive numbers of work experience. 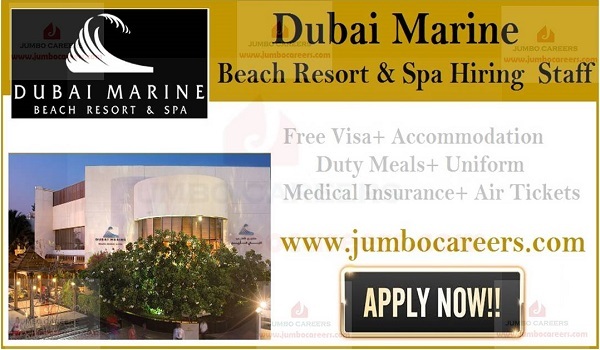 How to Apply For Dubai Marine Beach Resort Careers 2019?